Second in a series of two previously unreleased soundtracks Henning Christiansen made for the films made by his partner and collaborator Ursula Reuter Christiansen. Den Røde Skov (The Red Forest) was Ursula’s second film made in 1986. In stark contrast to the exquisite romantic melancolia of their first collaboration, The Executioner, Den Røde Skov resides as one of the wildest recordings in the entire Christiansen catalogue. Aligned more with works like the legendary collaboration with Nam June Paik and Joseph Beuys, Abschiedssymphonie, Den Røde Skov unfolds as a delirious and demonic audio exhibit, at once deeply eccentric and utterly enthralling. Featuring the exceptional sound work of Ernst Kretzer and contributions from Ursula Reuter Christiansen, Addamaria Reuter Christiansen, Bjørnstjerne Reuter Christiansen, Carla Tató and Werner Durand this is a rich tapestry of sounds, voice and obtuse atmospheres drifting from the deeply meditative to the outright hysterical. 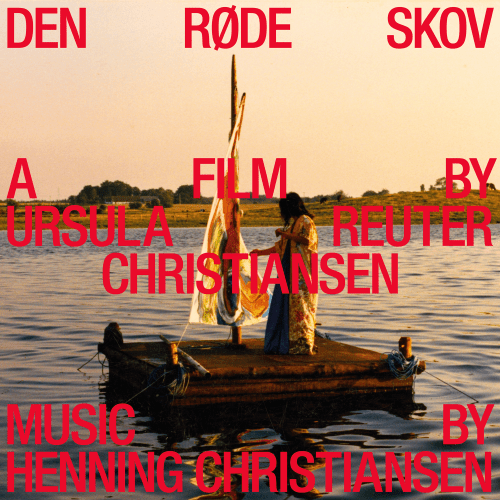 Den Røde Skov was remastered by Giuseppe Ielasi from the original master tapes sourced from the Henning Christiansen Archive and comes as a deluxe limited edition of 500 copies on red vinyl housed in a full colour gatefold sleeve incorporating a full sized 8 page booklet featuring a selection of striking images from the original film.